Astana vs Maccabi Tel-Aviv – Thursday, October 19, 16:00 BT/17:00 CET at Astana Arena, Astana. Astana vs Maccabi Tel-Aviv will take place at the Astana Arena in Astana. After drawing Slavia Praha 1-1 at home on matchday 2 of the UEFA Europa League, the Kazakh side looks to continue their impressive home record. Astana have not lost a home game since they were beaten by Villarreal all the way back in the 2014/15 Europa League play-offs—a fantastic record that spans more than two years and 16 games. In fact, Astana might be one of those few places left in Europe were the home team still enjoys a significant home advantage over the visiting team. Most teams have to travel a vast distance to get to the capital of Kazakhstan. Maccabi, for example, will fly 3,700 km North-East from the Mediterranean to steps of Asia. With climate differences and time differences one factor, and the artificial turf another factor, Maccabi will face some tough obstacles on their away trip to Kazakhstan. Those barriers do not even include the fact that Astana have a good side as well. Part of a project to grow the game in Kazakhstan Astana are completely state funded and are the richest club in the country. 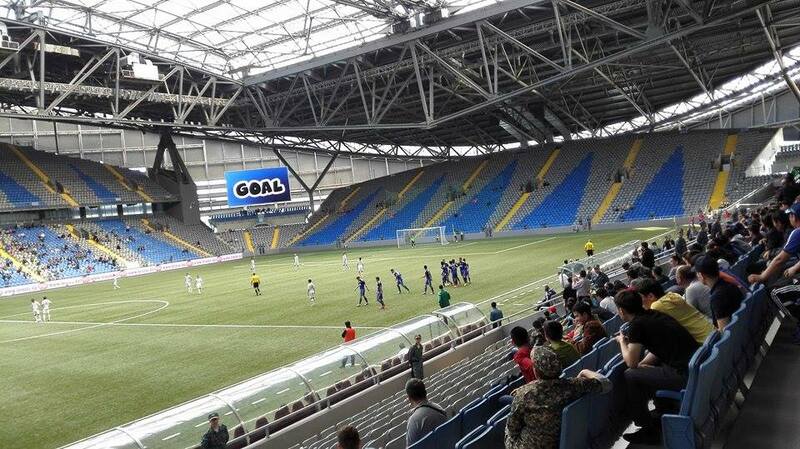 It is, therefore, no surprise that Astana are once again looking to win the championship. Four points ahead and with one game less than closest rival Kairat it would be a big surprise should Astana not lift the championship at the end of the year—Kazakhstan uses the old Soviet spring to fall calendar. Maccabi Tel-Aviv in the meantime are one of the most historic sides in Israel. Founded in 1906 the club has won more league championships than any other team in the country (17 after independence). Furthermore, they are the only Israeli side that never to be relegated from the first division. In the last two years, however, Maccabi has been in the shadow of Hapoel Beer-Sheva, who have won two titles in a row and are also competing in the UEFA Europa League. Managed by Jordi Cruyff, son of legendary Dutch forward Johan Cruyff, Maccabi are currently fourth in the standing on even points with Maccabi Netanya and Beitar Jerusalem and three points behind current league leaders Hapoel Haifa. Although the club had a poor start by losing 3-0 to rivals, Beitar Jerusalem Maccabi have been consistent since matchday 1 winning four and drawing twice. In fact, their only defeat since the game against Beitar came on matchday 1 of the Europa League when they lost to Slavia in Prague. A draw on matchday 2 against Villarreal means that Maccabi are still within reach of one of the two top spots in the UEFA Europa League Group A. The same, however, is also true for Astana, who will more than likely use their home advantage to cement their aspirations. Together with Junior Kabananga Patrick Twumasi is Astana’s most dangerous forward. Ranked second behind Kabananga on Astana’s scoring chart with 11 goals and six assists in 26 Kazak Premier League games Twumasi has been a prolific player this year. Playing off the left of Kabananga Twumasi often interchanges positions with his forward partner giving Astana a dangerous one-two punch up front. The Serbian national team goalkeeper is considered one of the brightest goalkeeping prospects in European football. Signed from Red Star Belgrade in 2015 the move from Serbia to Israel was an interesting choice by the then 19-year-old. 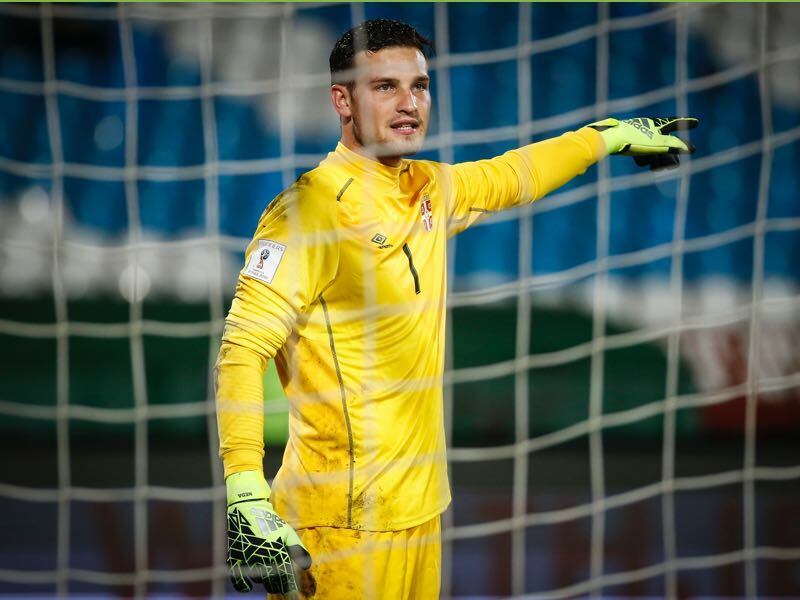 Red Star Belgrade received €3 million for the goalkeeper, who won the 2015 FIFA U-20 World Cup with his country. The teams are meeting for the first time. Astana’s only past tie against an Israeli side came in the 2014/15 UEFA Cup second qualifying round when they eliminated Maccabi’s neighbours Hapoel Tel-Aviv. Maccabi won their only previous tie against a Kazakh team: they drew 1-1 away and won 2-1 at home to Kairat Almaty in last season’s UEFA Europa League second qualifying round. Astana are unbeaten in 16 European home games (W8 D8) since a 3-0 loss to Villarreal in the 2014/15 UEFA Europa League play-offs. Maccabi have won four of their five UEFA away matches this season (W4 L1)—conceding just one goal in the process—but did lose at Slavia Praha on matchday 1. The journey from Tel Aviv to Astana is around 3,700km.